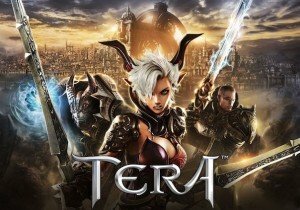 En Masse Entertainment has announced the launch of its latest update for TERA: Sword and Hoard. The Sword and Hoard update focuses its attention on a revamp of the Warrior class. The Warrior has been buffed and made more powerful with new skills like Head On (increasing crit when attacking from the front) and other powerful attacks and boosts. A leveling event will run through February 14, giving players a special reward box for reaching level 15 (openable at level 65). This box includes a permanent Night Mare mount, permanent weapon skin, a new Tier 9 Slaughter Weapon (Filet & Steak), and consumables. Sword and Hoard also introduces a new equipment item slot, accessory enhancement, and improved noctenium systems. MMORPG Redstone has been online for 13 years, making it one of the longest lasting MMOs to date. Catch our Frozen Endzone Beta Preview write-up by Mikedot to learn more about a unique turn-based strategy sports title. Weekly Recap #317 June 8th - Realm Royale, Warframe, Smite & More!